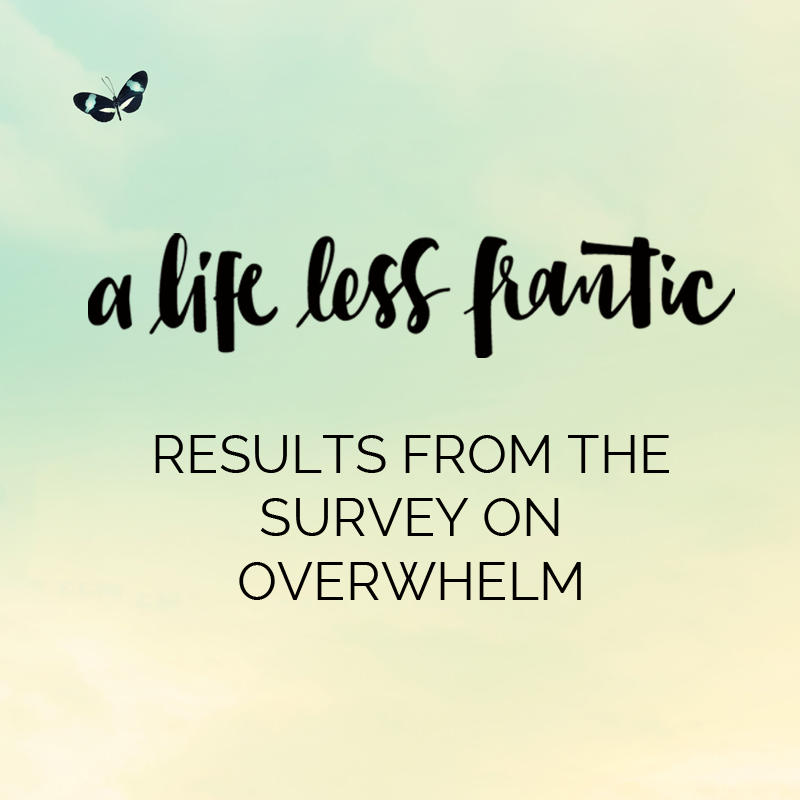 As most of you know, over the course of May and June this year I ran this survey on overwhelm as research for my next book How to Say No: And make more room for ‘Hell Yeah’ in your life. Well I’ve finally finished compiling and analysing the results of the survey – you can now view those results below. Now if you’re looking at those three things and thinking “those are things worth going to some effort to carve time out for” … you’d be right. But it seems most of the people who answered the survey aren’t managing to do so. And here’s why. It’s because they’ve lost themselves a bit. The never ending minutiae of running a household and being a parent. A job they hate but feel trapped in. A relationship (be it with a friend, partner or family member) they know is not good for them. And this feeling of ‘lostness’ usually (not always, but usually) is due to one main reason: they either don’t know what they want from life … or they’ve forgotten. It becomes easy for other people set the agenda of your life for you. Your days tend to be highly reactive (because you’re jumping around trying to meet the needs of those setting the agenda). You find yourself feeling resentful of people who don’t have this reactiveness in their lives, and this resentment colours how you treat both yourself and the people around you. You’re not sure what you’re bringing to this world/what unique thing you have to offer to this world. You’re saying yes to every opportunity and offer that crosses your path in the hope that that opportunity will be ‘the answer to all your problems’ and before you know it you are hopelessly over-committed and … you guessed it …resentful. Well, we need to have a good understanding of what drives us and what is actually important to us. For instance – you might think it’s really important to you to win a gold medal at the Olympics. And you might work for years and years (and years and years) towards this goal. And when you get there, you might find there’s all this stuff that goes with winning a gold medal at the Olympics (very short-term glory, a sudden interest in your private life from the media, and nothing to show for the past 12 years of your life bar a round piece of metal) that doesn’t turn you on at all. And if you delved deeper, you’d realise it wasn’t the gold medal you really wanted, it was the sense of satisfaction that comes from setting a goal for yourself, going after it … and achieving it. And you’d also realise that there are ways of achieving that sense of satisfaction that don’t involve 12 years of single-mindedness and a huge amount of sacrifice. The trick is to know what actually drives you, what is actually important to you in life. But I don’t want it to take YOU years of trial and error. I’d prefer it takes you less time if possible! With that in mind, I’ve created a series of five posts that I hope will be a bit of a shortcut to answering this question. The first of these posts will go live on Monday 28th September. If you’d like to be on the list to receive these posts … just click here.